 Although the volcano has been in more or less continuous activity like this for years, an increase of activity could be noted already during late June and early July this year, when at least one new lava flows was emplaced on the east-northeastern flank, producing a peak in heat emission visible on satellite data. Recently, at least two lava flows have been active on the south-south-western and southern slopes, each several hundred meter long. Incandescent lava avalanches also have been occurring on the northeastern side and much of the volcano's feet are covered with hot debris from these avalanches..
Reventador volcano Volcanic Ash Advisory: VA EM CONT? Reventador volcano Volcanic Ash Advisory: POSSIBLE ONGOING VA EMS.